Home-made cakes, cookies, cupcakes and special occassions cakes. Order online. 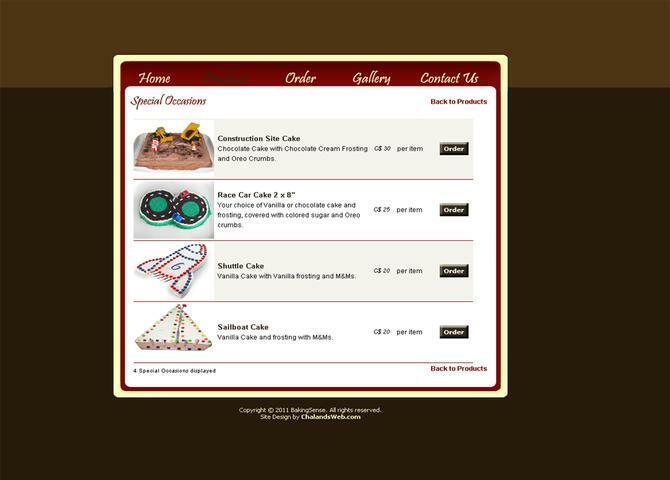 Visit Home-made cakes, cupcakes cookies and more - BakingSense.ca.